The singularity is the theoretical point at which the rate of technological change becomes so fast that it outstrips the human capacity for comprehension – generally, the starting point is considered to be if/when we ever manage to create a true artificial intelligence. Closely related is the notion of transhumanism: the study of how technological enhancements change humanity, ostensibly beyond the boundaries of what is nominally considered “human.” These two heady concepts are at the core of Wally Pfister’s largely frustrating but also intriguing directorial debut. 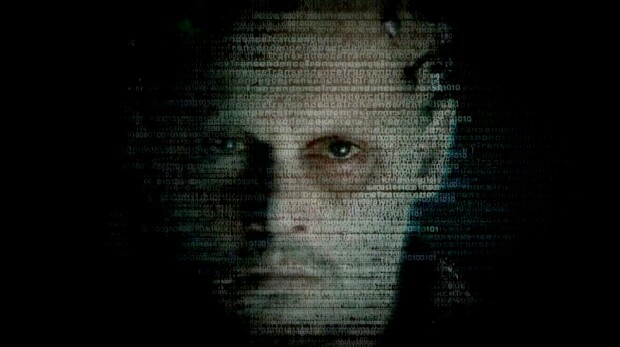 When cognitive scientist Dr Will Caster (Johnny Depp) is mortally wounded in a terrorist attack by an extreme Luddite group, his wife and research partner, Evelyn (Rebecca Hall) and their friend and fellow scientist, Max Waters (Paul Bettany) resolve to save him, in a fashion, by copying his mind onto an extremely powerful computer. They succeed, but many difficult questions are raised. How perfect is the copy? Is the resultant entity really Will, or just a facsimile thereof? Is such an entity capable of emotion or empathy? Perhaps most importantly, could such an entity, its cognitive powers now far beyond that of a physical human brain, pose a threat? Such questions also occur to the government, as personified by FBI agent Buchanan (Cillian Murphy) and avuncular scientist Joseph Tagger (Morgan Freeman) and to the radical group responsible for Will’s physical death, led by Bree (Kate Mara). Transcendence feels like a simplified version of a ‘70s hard science fiction disaster film – a kind of dumbed down take on The Andromeda Strain. Perhaps the most frustrating thing about the film is how it takes in so many interesting concepts and developments – nanotechnology, privacy in the digital age, unchecked technological development, the networking of human minds – yet delves into each only to the most superficial level. It’s a strangely distant and disjointed film, keeping its characters at arm’s length and making it difficult for the viewer to invest in the proceedings on an emotional level. There’s no clear protagonist and the script’s tendency to abruptly skip years ahead also works to distance us from the story. While that conceit allows us to get to a point where the Will AI has built what is essentially an underground supervillain lair and more or less turned the inhabitants of a small desert town into his personal army, too much is sacrificed in terms of clear character motivation and plot logic. For all that, Transcendence deserves points for trying. It’s a non-franchise science fiction film that privileges ideas over action – at least until the jumbled third act climax – which is a pretty rare thing these days. It’s fated to be a half-forgotten curiosity on the resumes of all concerned, which is a shame. With a tighter, more incisive script it could have really been something.